Day 29: Fruita, Colorado; Heading toward the Rocky Mountains. Got 100 miles under my belt so far and now leaving I-70 and heading down Hwy 50, The Lincoln Highway, the Loneliest Highway in America. 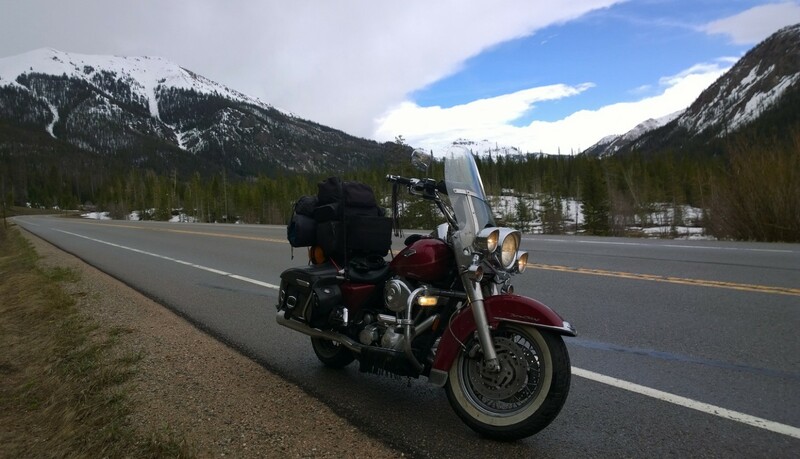 I’ve got 176 miles to go to Monarch Pass, elevation 11,312 ft/ 3,448 m where I cross the Rocky Mountains and the Continental Divide. Supposed to reach 70 degrees there today! ← Day 28 Recap: Green River, Utah; Watching Northern Ireland play Germany in Soccer (on the internet); Much Better Ride Yesterday.